Street Fighter 2 – ..
Grace QWOP is a simple flash based sports game. The name of the game is based on the keys which are used to play it. This simple yet addictive game is very popular among gaming fans. The concept of the game is very simple where you just have to help your Olympian to complete 100 meter race. You have full control on your Olympians body parts like thighs and calves. Use the Q and W keys to lift right and left thigh of your athlete. Use P and Q keys to contract calves of your Olympian. Seems simple? Well you will know it when you will play this game, its actually very difficult. You can't run by simply pressing the four keys mentioned above. Press the QWOP keys to balance your athlete and also prevent him from falling. The game has a two player version as well in which you can compete with your friends. Enjoy playing this simple game and try to cover as much distance as possible. Test your running abilities and have unlimited fun. 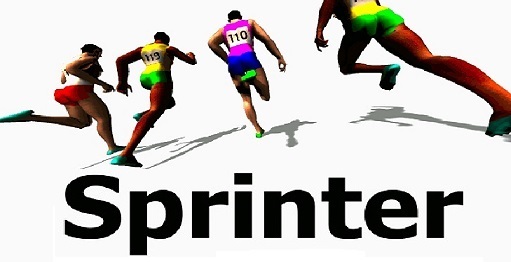 The original QWOP game is developed by Bennett Foddy. © 2013-2017 www.QWOP.me - All games on this site are copyrighted or trademarked by their respective owners or authors.